Westlake Crossfit : Blog : Member Spotlight: Theresa D.
What brought you to crossfit and to WLCF? Did you have specific goals or something you were seeking to change? 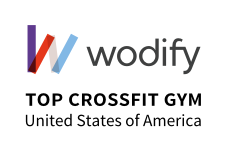 Friends kept telling me what a wonderful workout crossfit was and I could see the results that they were getting, so I decided to give it a try. I was searching around for a crossfit gym, terrified of picking the wrong one, when I went on a date with a fitness professional. The date didn’t go so well, but he did recommend WLCF to me saying that it was, “The safest crossfit gym in Austin”. At first, it was the excitement of something new. I have always loved trying different ways of working out. That initial high lasted about a year. Usually after a year of whatever new fitness trend I am trying at the time, I start looking to trade it in for something else. Not this time. Though I still very much enjoy trying new things, crossfit has remained in my fitness rotation. The reason for this is simple: the community. On days where I have no energy and want to skip my workout (there are many! ), I know that as long as I get in my car and drive to the gym, the energy of everyone there will carry me through. I love the fact that after every single workout, I can feel myself getting stronger, both physically and mentally. After two years, I still can’t do a pull-up. Now I’m sure there are many reasons for this and that there are lots of extra exercises I could be doing before, after class, and at home; however, repeatedly failing at an activity is an important lesson. By lacking in this one exercise, I have been able to appreciate those who can perform things that I find difficult as well as have greater appreciation for the things that come more naturally to me (squats!). I have learned that I will work a lot harder with people around me! How do you stay active outside of the gym? How has your training here connected to that? I hike, do yoga, and have recently started jiu jitsu training. Crossfit has no doubt helped me in each one. Starting a new fitness activity is a lot less daunting if you know that you are coming in with the endurance and strength necessary. With new activities, I am actually able to completely focus on the technique of what I am trying to learn, rather than trying to catch my breath. Now, I am big on recognizing what my body wants that day and allowing it to do that. When I first started, I felt like I had to go 100% every single class. Now, if my allergies are bothering me or if I’m just really sore, I take it easy during the workout. This is not something I used to be able to do and I am quite proud that my ego will let me take it easy every once and a while. As far as goals go, it used to be extremely important to me to reach a certain number whenever we test our 1RM and I would get bummed if I didn’t make it. I have recently come to the conclusion that that is silly (for me). I am incredibly strong and fit exactly where I am and though improvements are wonderful and I certainly want to continue making them, I don’t ever want to lose sight of how great my body works at this moment. Midday—it’s a fantastic way to break up the day! I would love to try parasailing or surfing. They sound awesome. Don’t be scared to not know anything. Everyone has to start somewhere and no one is judging you for what you may or may not know.